It was four years ago this month when I first met a Zuppardi's sausage pie. They say you never forget your first, which I then ensured by writing about it for Serious Eats. 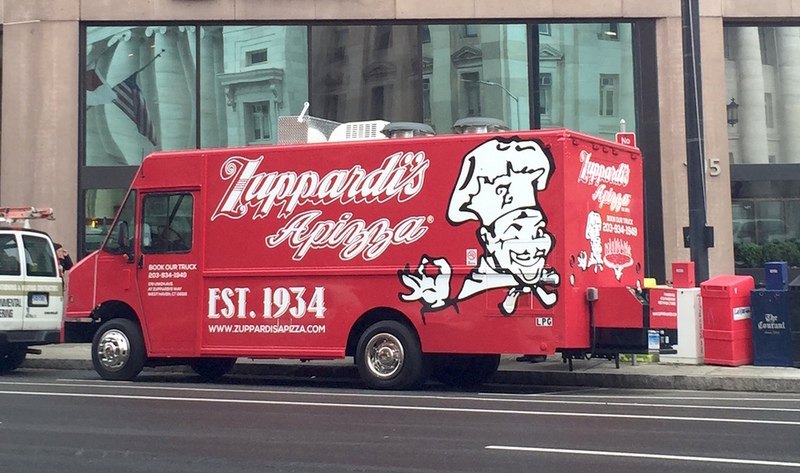 So imagine my surprise when I learned they were rolling out a Zuppardi's pizza truck, and my elation when I ran into said truck, a bright red beacon on an otherwise gray and drizzly New Haven day, on the corner of Chapel and Church in New Haven. Put another way, if New Haven's signature pizzas were the rat pack, the Zuppardi's sausage pie would take center stage alongside New Haven's other apizza stars: Sally's tomato, Pepe's clam, Modern's Italian Bomb, and Bar's mashed potato. Yup, it's that good. And what is a bit surprising to me, is that my memory of that first sausage slice, stands up to the piping hot slice from the truck. I encourage you frequent Zuppardi's cusomters to let me know what you think, but I do believe that Baker's Pride behemoth installed in the truck is doing its job well. 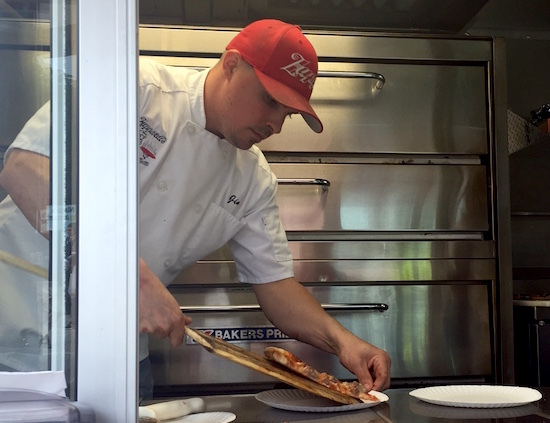 Zuppardi's Truck offers slices, whole pies, and Foxon Park sodas (check their twitter feed for the latest locations). Their truck offerings range from a rotating special, alongside the sausage and mozzarella pie mainstays. Slices seem a bit pricey at $4 to $4.50 each, but this is no flimsy New York slice (queue the angry New York-style pizza fan comments) and their pizza is no ordinary pizza. Especially the sausage. 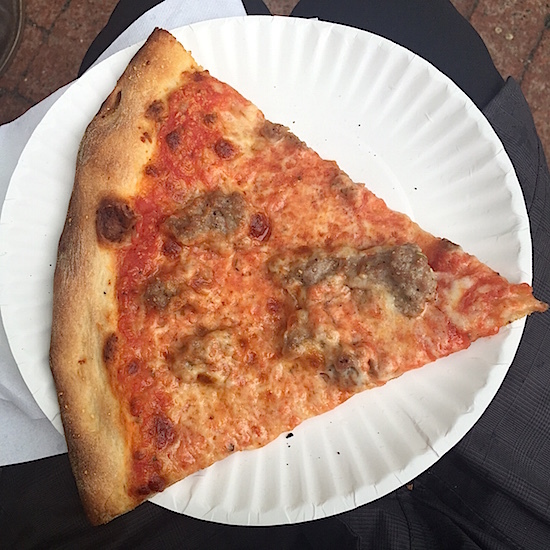 It's a homemade family sausage recipe that when paired with Zuppardi's thin yet crispy crust and light tomato sauce, makes for one of New Haven's best pies. And now New Haven pizza friends, you can get it by the slice.